Six stunning presentations gave the One World Charity Challenge judges difficult decisions to make. 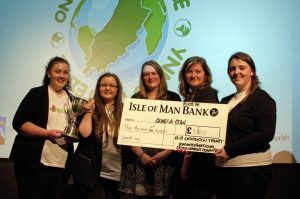 With £11,600 to award to the charities represented, it was more than a case of which one was the winner. Indeed all teams were winners – they had beaten other teams in their own schools and colleges, and won £1,500 or more for their charities. 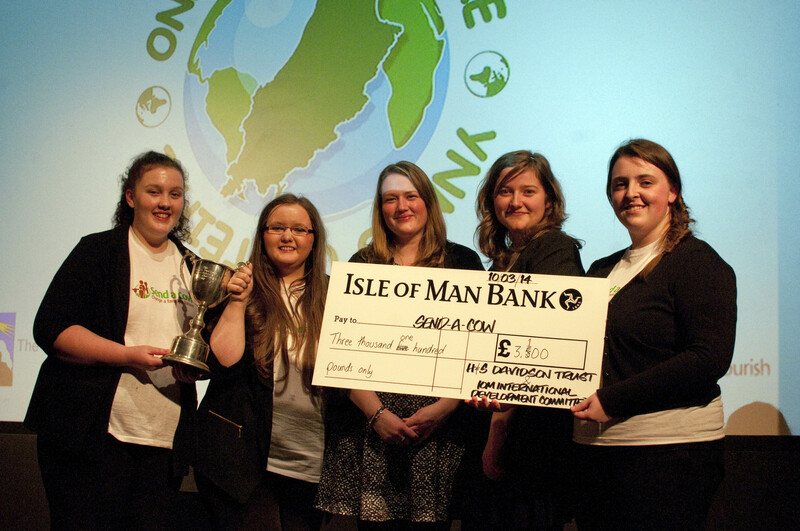 In the end Daisy, the pantomime cow, helped the Isle of Man College to the winner’s podium. The comic cow acted as a counterpoint to the serious nature of the work of all of the charities. And the young people had researched this work, looked at its impact, critiqued their charity and used their imaginations to create multi-media presentations. Congratulations to all involved.